Synergy is the industry choice for N95 Respirator Mask Fit Testing and Respiratory Protection Programs for leading Employers, Universities, Colleges, Healthcare, Construction, Manufacturing and Industrial industries and Individuals across Ontario. Synergy creates solutions that provide compliance and peace of mind. 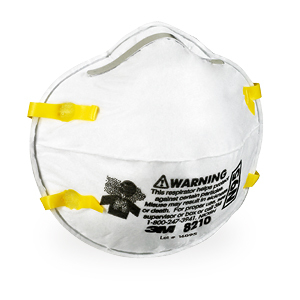 Our N95 Mask Fit Testing program offers Qualitative Respirator Fit Testing (QLFT) that is based on OHSA requirements and meets the CSA Z94.4-11 standards on the proper selection, care and use of respirators. Our experience says it all, as we proudly mask fit test over 15,000 people a year across Ontario! We specialize in providing a variety of convenience based Mask Fit Testing solutions including: ON-SITE (we come to your location), OFF-SITE (you come to our location), INDIVIDUAL (offered 5 days a week at our Toronto location) and ORGANIZATIONAL training options to help maximize your compliance. The Synergy Helpdesk is available Monday to Friday from 10:00am to 3:00pm EST. Our helpdesk operates on a ticket based system and all inquiries are answered by email.